We are aware that this kind of furniture should be resistant to the external conditions and therefore all technological methods that we apply are aimed to improve its resistance properties. We use a dried steam beech wood or softwood to manufacture the furniture. The jointing is metal with good strength characteristics. The wood processing is a three-layer one - impregnant, primer and paint finish suitable for outdoor conditions. Different models park benches, tables and sets. 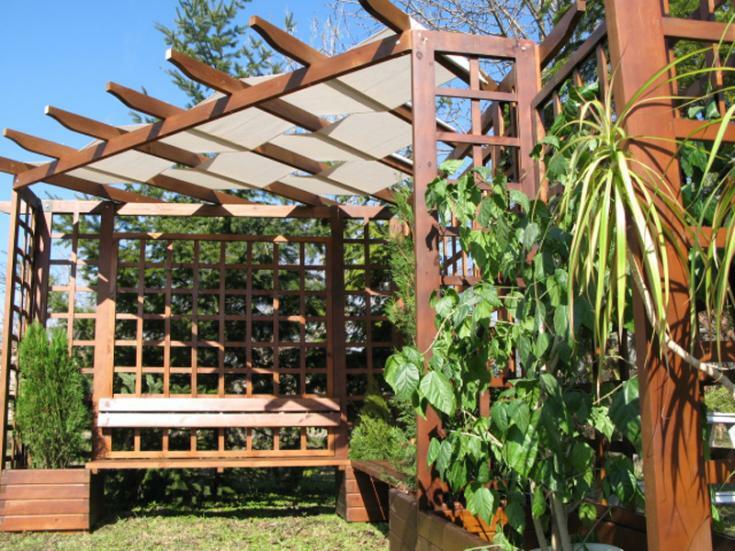 We use metal construction and softwood with three-layer one wood processing - impregnant, primer and paint finish suitable for outdoor conditions. 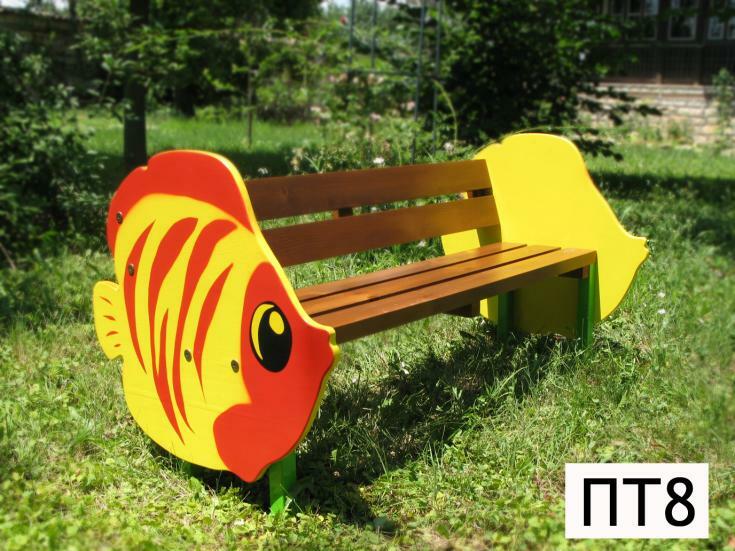 We also offer sets completely made of wood and seats for mounting to the existing concrete foundation. Combined facilities with a drop height of 85 cm at most. 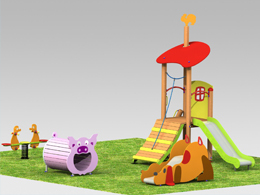 They are suitable for kindergartens and public playgrounds with separate places with activities for young children. 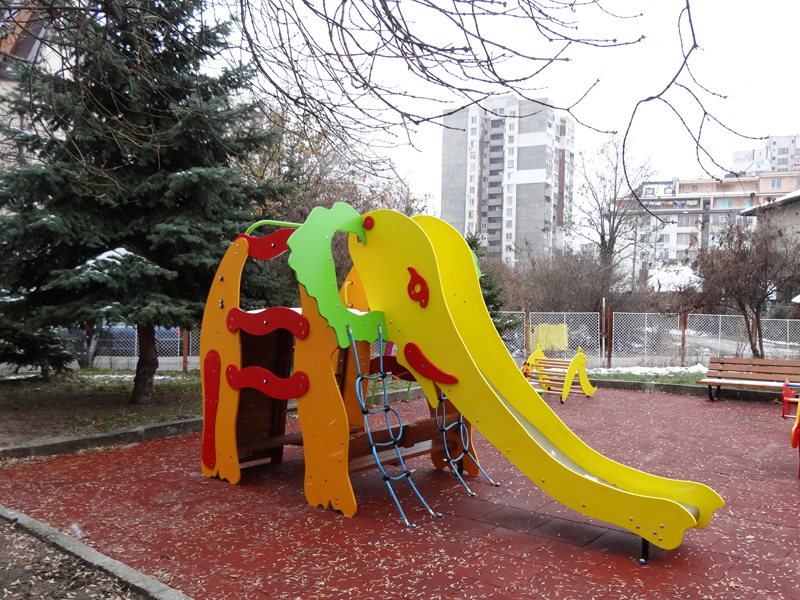 Slides for the youngest children and slides for kindergartens. Bright colours and atractive design. Children trains and chips for kindergartens and for the youngest children. 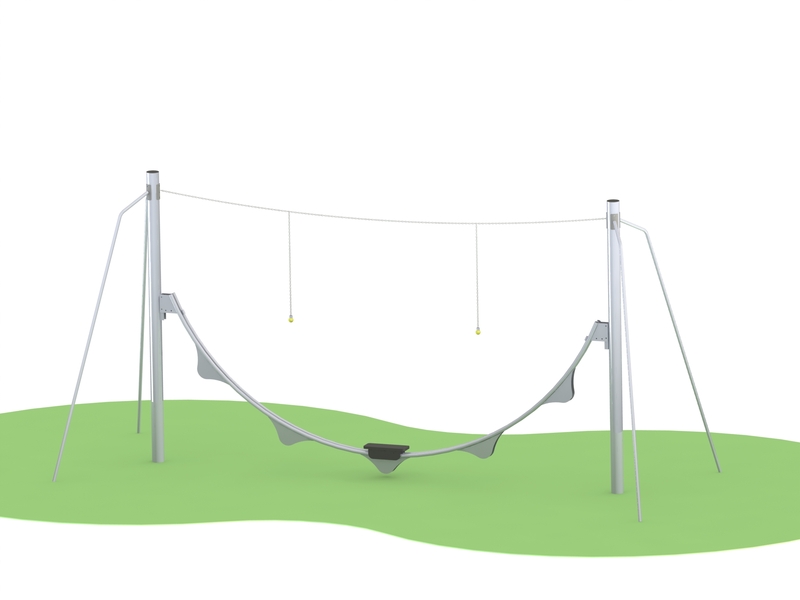 Single, double, triple swing, swing with metal or wood construction and swing with different seats according to children's age. 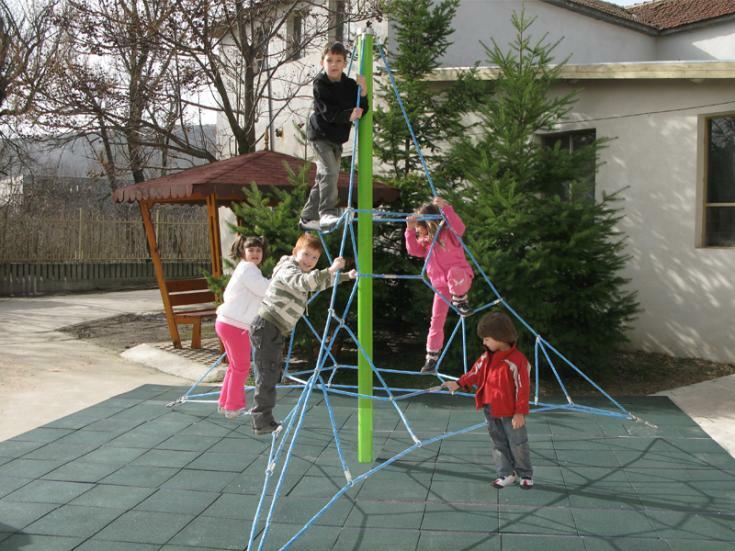 Children balance facilities and climbing facilities with low free fall height. 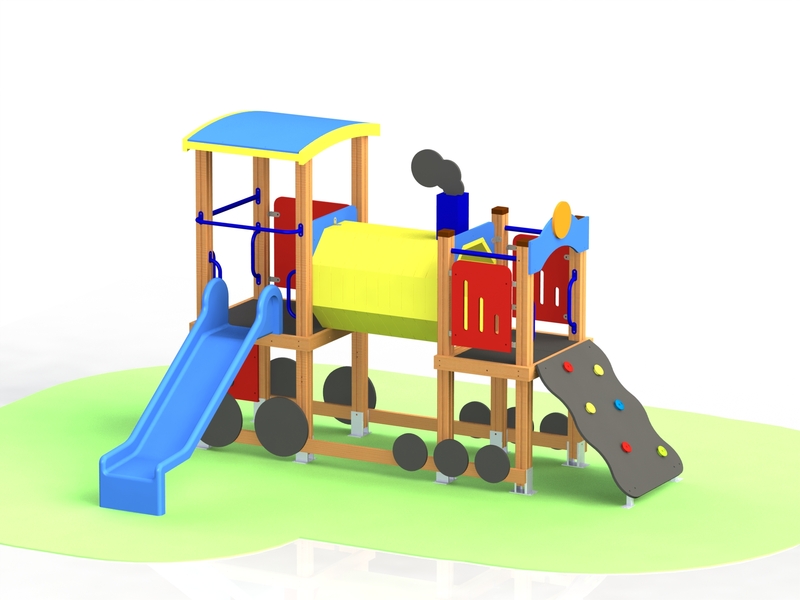 This equipment is suitable for kindergartens and for the youngest children. 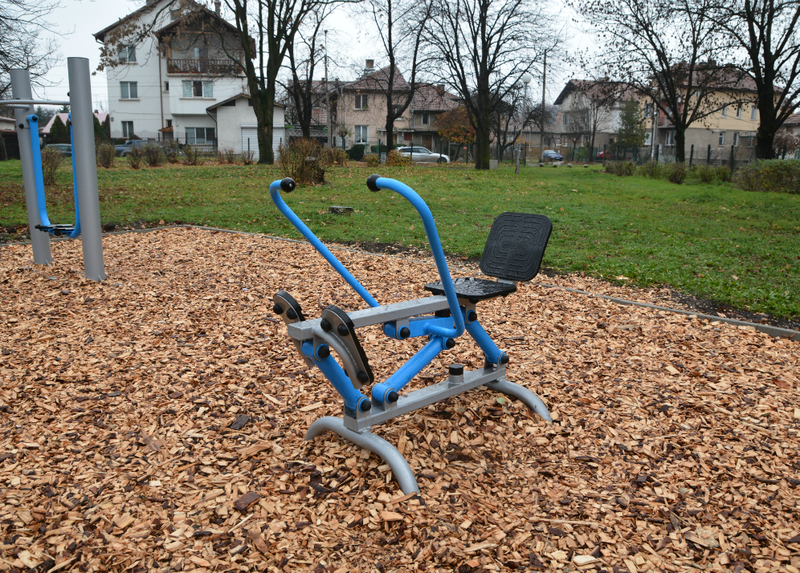 Outdoor fitness equipment with metal costruction - exersices bicycles, cross trainers, steppers, sit-up benches, bars, dip stations, ski runners, waist twisters, arm streching trainers, leg lifters and leg presses, shoulder trainers, air walkers, fitness equipment for disabled people. 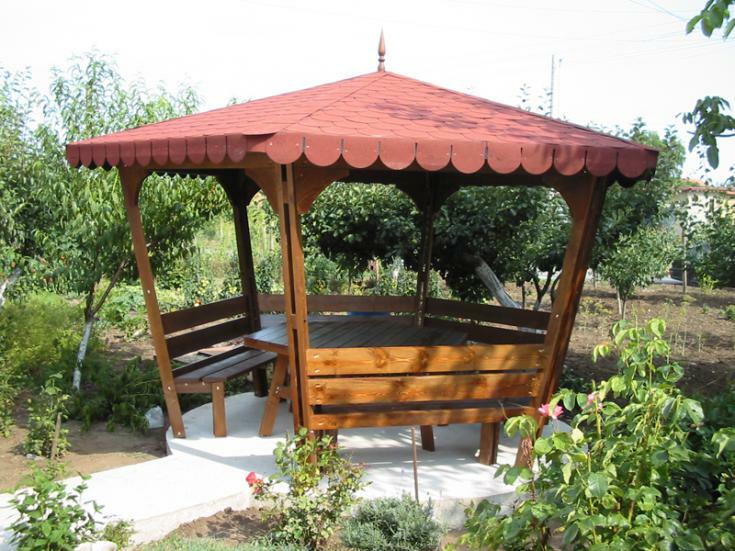 Garden gazebos for garden and private homes. The main building material of the construction is impregnated and lacquered wood and metal hardware. The roof elements that we use are bitumen roof-tiles or water-repellent fabrics. 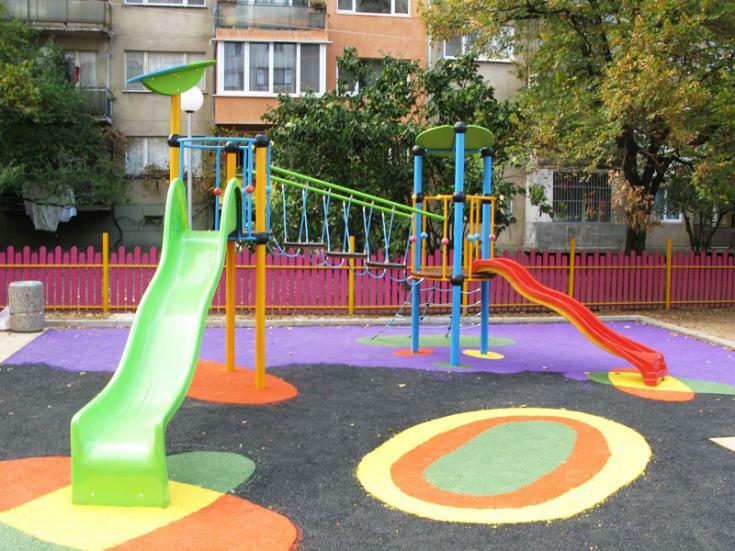 Playgrounds for children 1 - 12 y.o. 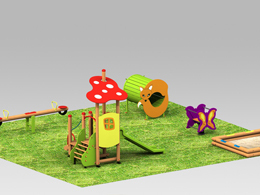 These playgrounds are designed for children up to 3 years as well as for children from 3 to 12 years. Each of them has conditional areas for both age groups, where the corresponding facilities are located. In most cases, these sites need a fence, benches and litter bins as well as an information board, which we can provide. 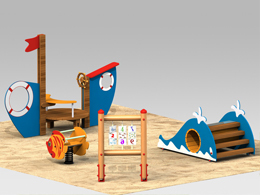 The sea theme of these playgrounds is implemented through the use of play facilities such as ships, boat, jet, bridge, some sea animals – dolphins, whale, seals, seahorses, octopus, fish and others. This theme is particularly suitable for sites located near the sea. Площадки със съоръжения и занимателни игри на морска тематика - корабчета, джетове, различни морски обитатели, спасителни пояси, капитански мостик и др. Новата серия комбинирани съоръжения за игра на деца се отличава с изключително голямо разнообразие на модули за игра, тематични идеи и дизайнерски решения. Четирите гами нюанси на цветове, могат да се поръчват за всяко едно от съоръженията и това дава възможност на възложителите да участват в процеса на оформяне на цялостната визия на детската площадка. Разделянето на съоръженията за игра в три възрастови групи спомага за правилният избор при изборът им в сответствие с възможностите и нуждите на бъдещите ползватели на детската площадка. Използваните различни материали са подбрани така, че да бъдат изявени техните най добри качества - масивни многослойни дървени колони за конструкцията, релефни износоустойчиви плоскости за подовете и стъпалата. метални перила и ръкохватки и надеждни пожинковани закладни части. За най малките са проектирани комбинирани съоръжения с голямо разнообразие на теми и игрови функции съобразени с техните възможности за игра. Използвани са различни елементи - лабиринти, тунелчета, рампи за пълзене, ниски пързалки, къщички с пейки, мостчета за баланс и много животни и птици. Освен тематичната насоченост на повечето от комбинираните съоръжения, за тази възрастова група са проектирани и класически модули с перфектен дизайн - влакче с вагончета и ЖП гара, корабче, въртолет, магазин и други. Всички тези уреди за игра са подходящи за яслени групи в детските градини или за зона за игра на най малките на големи детски площадки. 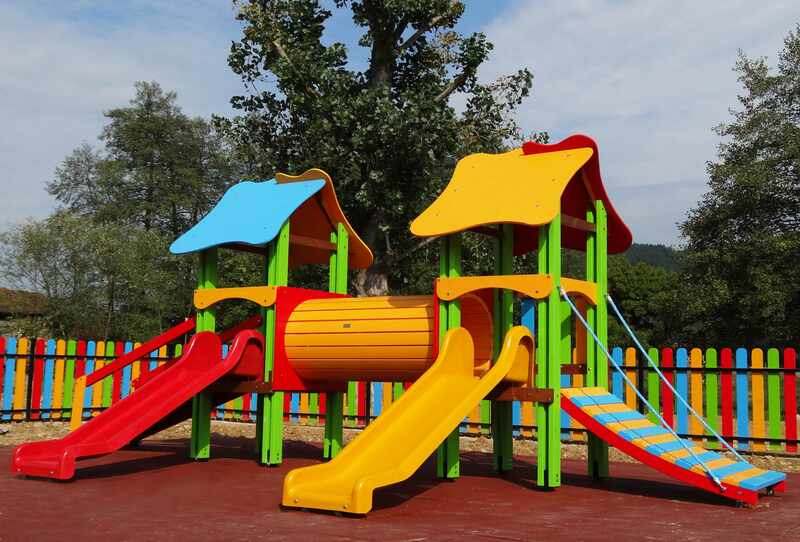 The playground equipment is designed, manufactured and installed in accordance with BS EN1176 and the requirements of Regulation No.1 of May 12th, 2009 on the Conditions and Procedures for the Playground Structure and Safety. 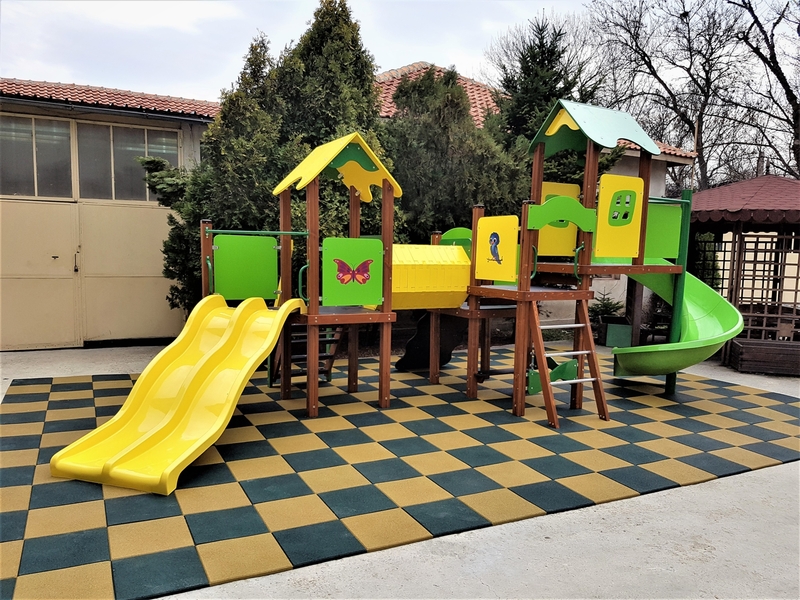 The company is certified to design children facilities and playgrounds and issues all documents necessary for the commissioning of any facility. 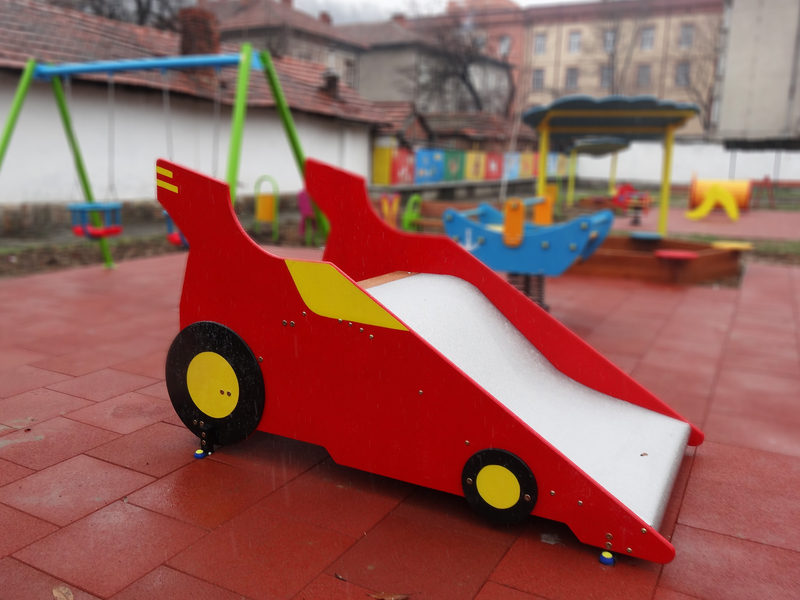 Thematic combined children's facilities with bright, eye-catching colours, shapes and images inspired by children's stories, places and topics that excite children. Each facility presents a different theme – hidden treasures, space and aliens, circus, exotic plants and animals, castles, cottages hidden in the forest and others. 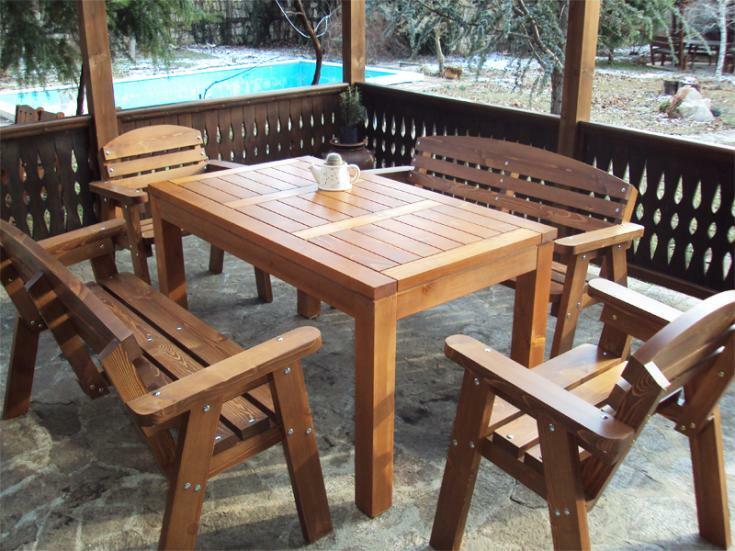 Tables, chairs and benches ans sets made of softwood. 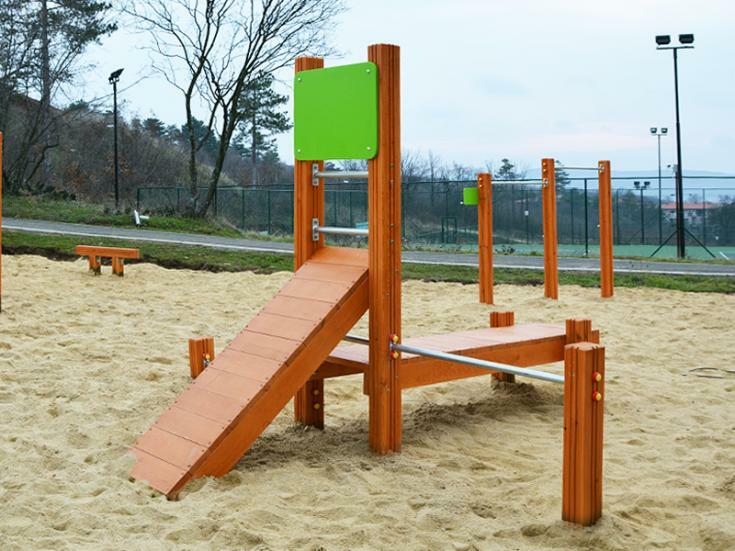 The wood processing is a three-layer one - impregnant, primer and paint finish suitable for outdoor conditions. Furniture made of softwood can be used in home or restaurants and caffees. 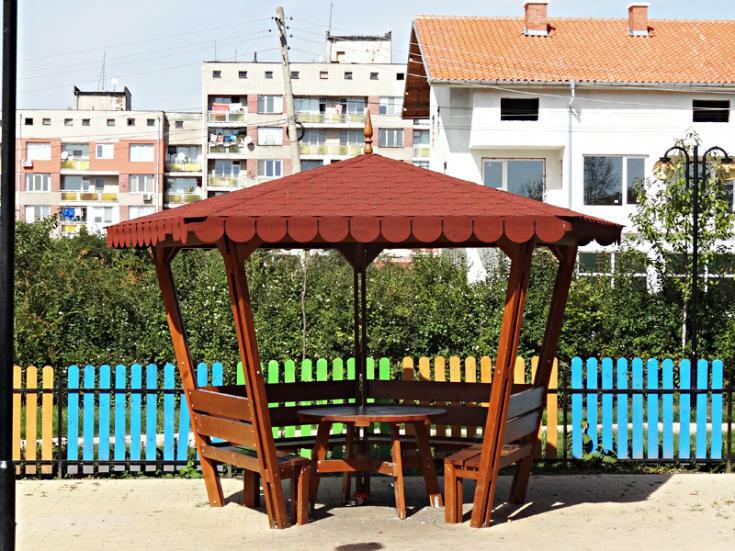 Park gazebos made of impregnated and lacquered wood and metal hardware and gazebos with metal construction, suitable for mounting in parks, gardens, squares, playgrounds, shcools and other public places. The main building material of the construction is impregnated and lacquered wood and metal hardware. The roof is made of water-repellent fabric. If the standard products in stock do not correspond to your space, we may manufacture the product in the desired size. 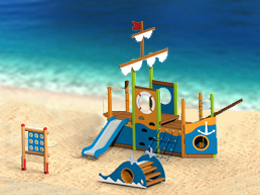 Attractive children's facilities combined with a different thematic focus – forest theme, sea theme, exotic flora and fauna, fortresses. They are distinguished by many traditional modules for climbing, squeezing, balancing, switching from one tower to another. 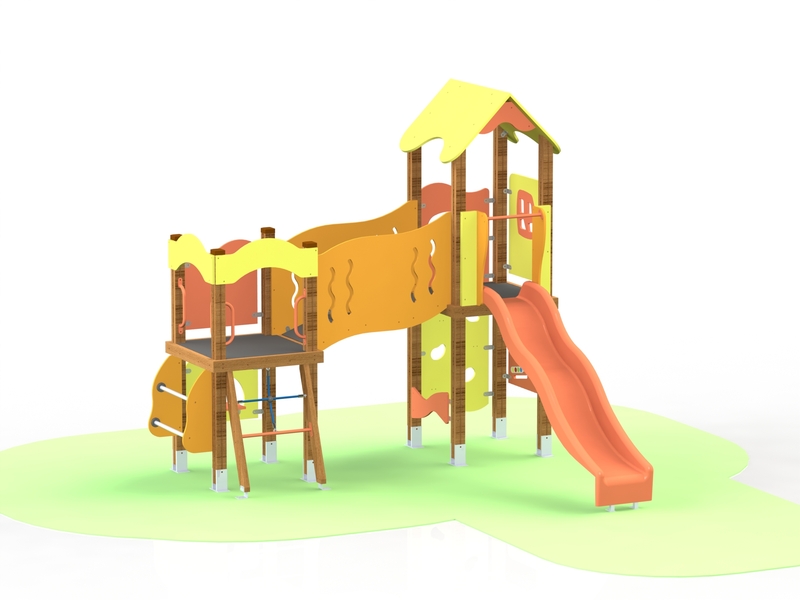 All slides are with stairs and height 1m. We offer slides with standard models and thematic slides. 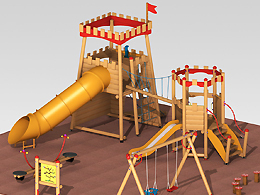 Fortresses, chips, trains, helicopters, elefants and huge mushrooms with slides, bridges and other playing modules. These facilities are very suitable for role playing games. 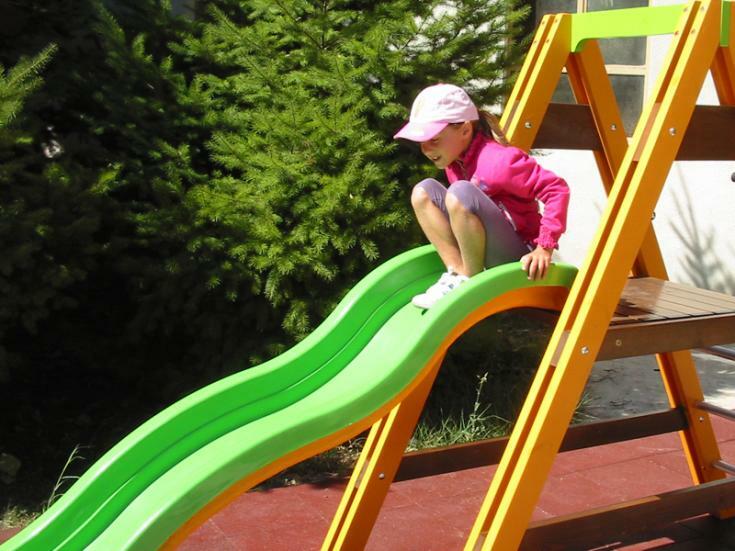 Children climbig and balance facilities with different height and different level of difficulty according to the age and physical training of the children. 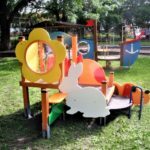 Unlike the playgrounds for public use aiming to create play opportunities for children at different ages, these sites try to create conditions for play for a small group of children at the same age. 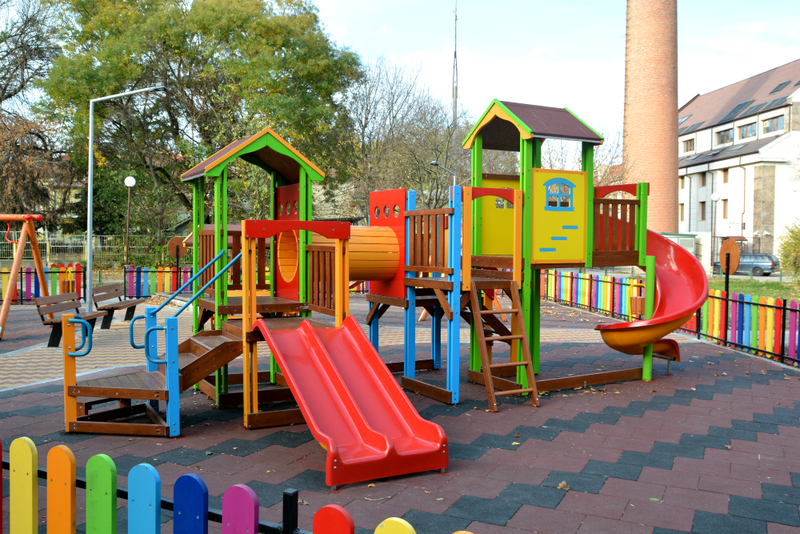 In this sense, it is desirable: ●to provide such facilities that unite children's play by the possibility of communication and themed games; ●some of the facilities to have an educational character that is achieved by the so called “interactive games”; ●if possible to provide a competitive nature of some games and entertainment, e.g. double skating, overcoming obstacles, keeping balance and others. Since preschool teachers have accumulated rich experience in this field, it would be good, when selecting or configuring a concrete playground, to take account of their views and wishes. 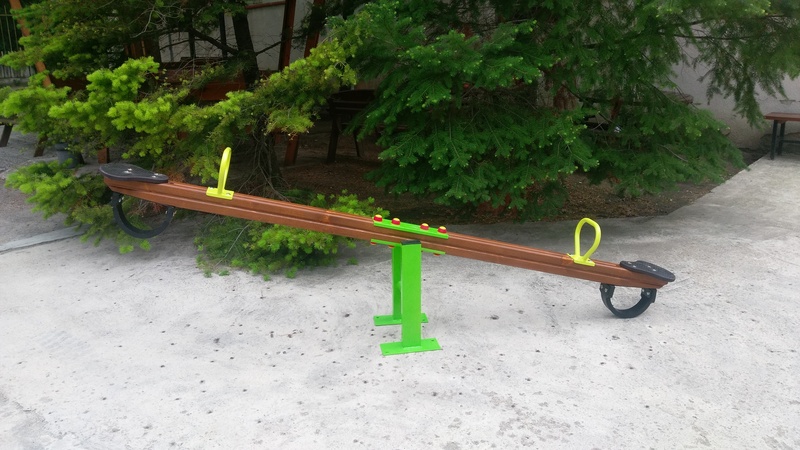 This will result in a playground with high game and educational opportunities. 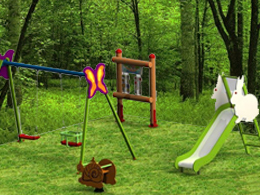 The forest theme is liked by children and is good to be present in their activities and games. 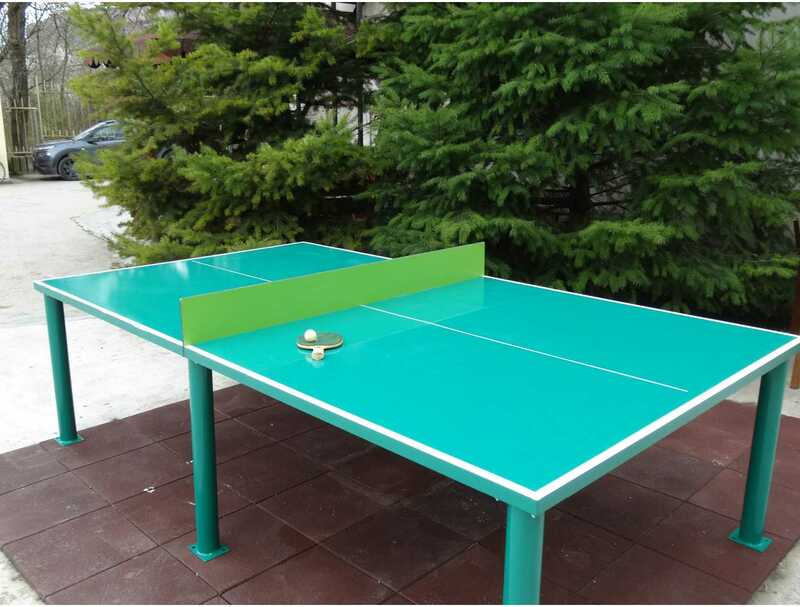 By including different characteristic details in the projects, such as forest houses, animals, birds, insects, flowers, etc., surroundings of beautiful forest spots have been achieved, especially suitable for implementation in parks and mountain sites. Площадки, наподобяващи малки горски кътчета, което е постигнато чрез съоръжения на горска тематика, горски къщички и горски растения и животни. 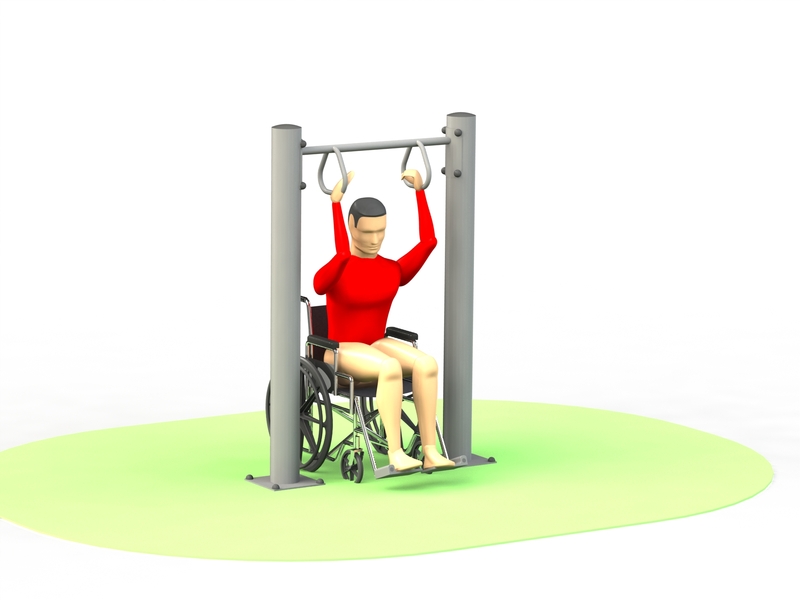 Outdoor fitness equipment for disabled people. Тази възрастова група е с възмосности за най-разнообразни тематични игри и общуване. Това е възрастта на приказките, детските фантазии, мечтите за необичайни професии и роли. Затова модулите на тези съоръжения дават възможност не само за катерене, пързаляне, провиране, но и богати възможности за тематични игри свързани с горски и екзотични животни, домашни любимци и герои от приказки. Някои от съоръженията са свързани с интересни професии - кораб с морски капитан, аеродрум с космонавт, цирк с клоун, жонгльор с дресирани животни. влак с машинист и пътници и други. Към почти всички съоръжения са предвидени панели за познавателни тематични игри - ребуси, лабиринти и други. Игровите съоръжения от тази група са особенно подходящи за детски площадки. 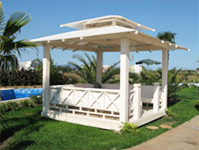 We offer manufacturing and installation of the full range of garden architecture - gazebos, pavilions, pergolas, pots, grills and other accessories to complete the exterior of the garden, park or terrace. The main building material of the construction is impregnated and lacquered wood and metal hardware. The roof elements that we use are bitumen roof-tiles and vinyl or water-repellent fabrics. The warranty period of the products is 24 months. 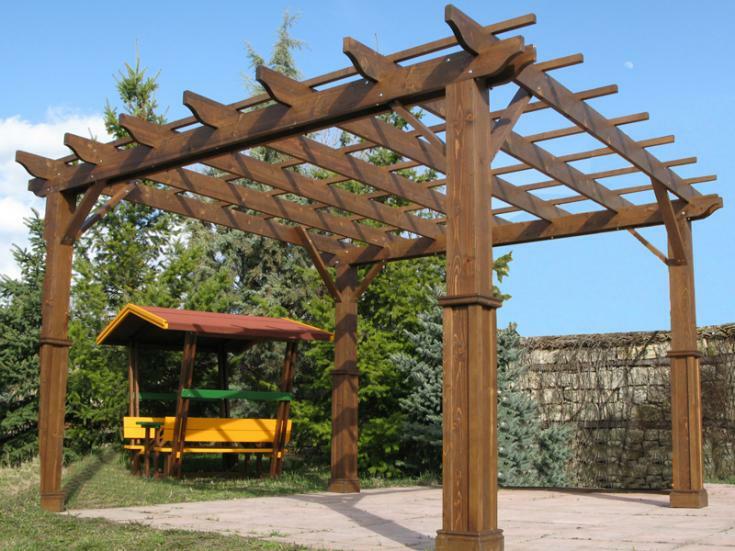 Park pergolas with a massive wooden or metal frame that may be a stylish part of the exterior design of parks, gardens, squares and other public places and in the same time can be used for protection from the sun. For protection from the sun textile awnings can be mounted. 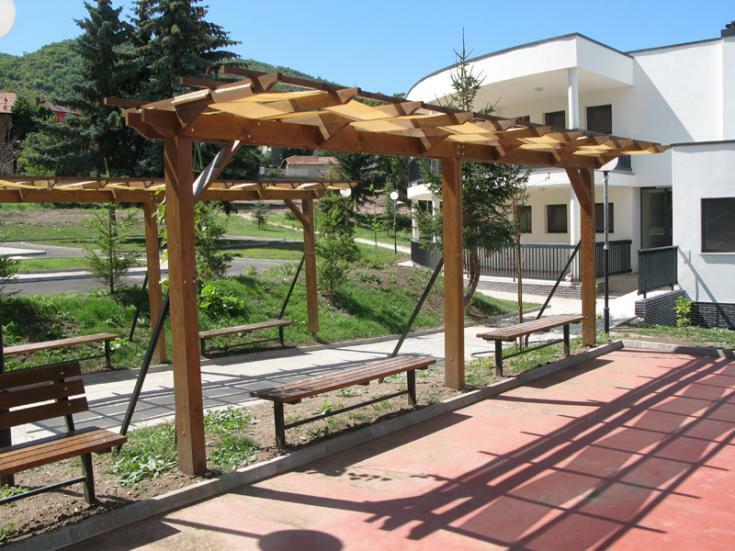 Combined with benches, pergolas are exciting place for relax. Possible dimensions specified by the customer. Combined facilities with a massive construction made of machined timber with preserved natural colour and style. 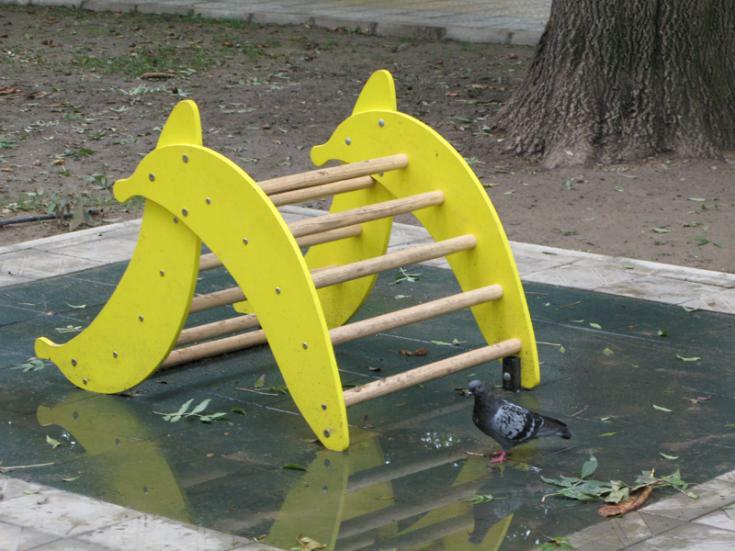 These facilities combine natural design with bright and attractive elements that are characteristic of playgrounds. Most facilities have a thematic focus expressed through multiple modules for decorations – trees, palm trees, birds, forest and exotic animals, insects, flowers, flags and others. Different thematic models - single, double and models for group swinging. 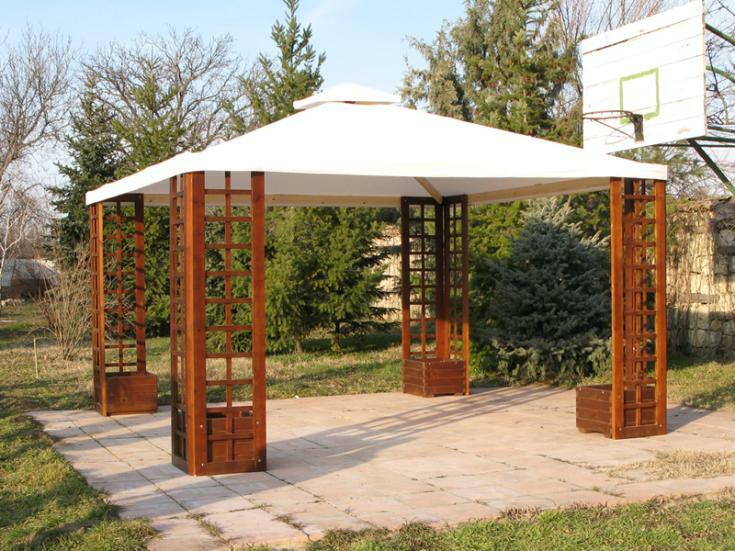 According to the purpose, pergolas can be used for protection from the sun and as a construction for landscaping. In addition, they may perform a decorative function as part of the exterior design. For protection from the sun textile awnings can be mounted. Possible dimensions specified by the customer. This theme is particularly relevant and interesting for urban children. 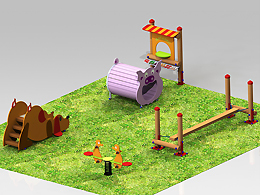 Using figures and profiles of rural houses, domestic animals and birds, there is an opportunity that the pet theme is adapted to the game of modern children. Тази тема е особено подходяща и интересна за градските деца. Чрез фигури и профили на селски къщички, домашни животни и птици, е създадена възможност темата за домашните любимци да се адаптира към играта на малчуганите. По голяма възрастова група предлага повече игрови възможности на децата. За тях са предвидени и други екстемни занимания - катерене по стръмни въжени и алпийски стени и катерушки, преминаване през тунели, въжени люлеещи се мостчета, тесни греди и ръкоходи, спускане по спирали, тунели и вълнообразни пързалки. Тук са използвани няколко различни вида кули с покриви и възможности за игра на повече на брой деца. По високите платформи на кулите позволяват под тях да се оформят уютни кътчета за общуване с пейки, масички, допълнителни игрови панели и модули за тематични игри. 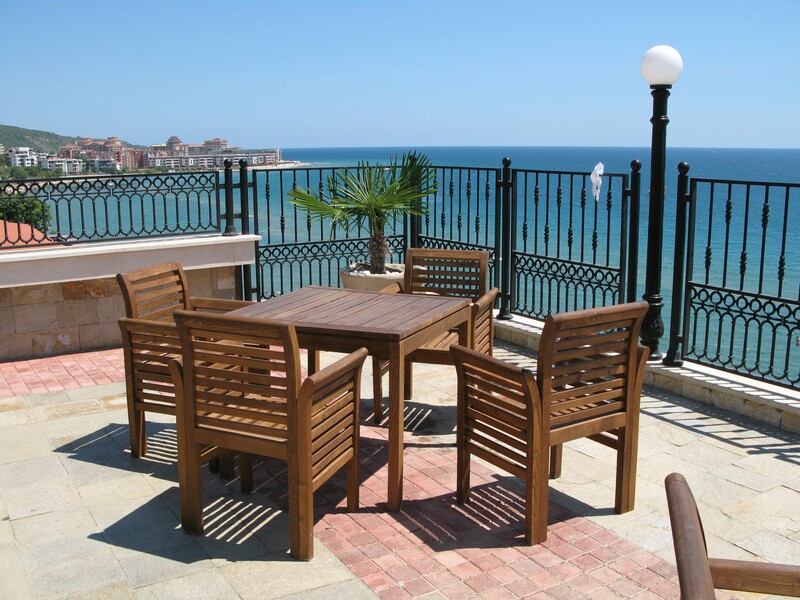 Wooden lounges, tables for lounges and sunbeds for pools, beaches, gardens and SPA centers. 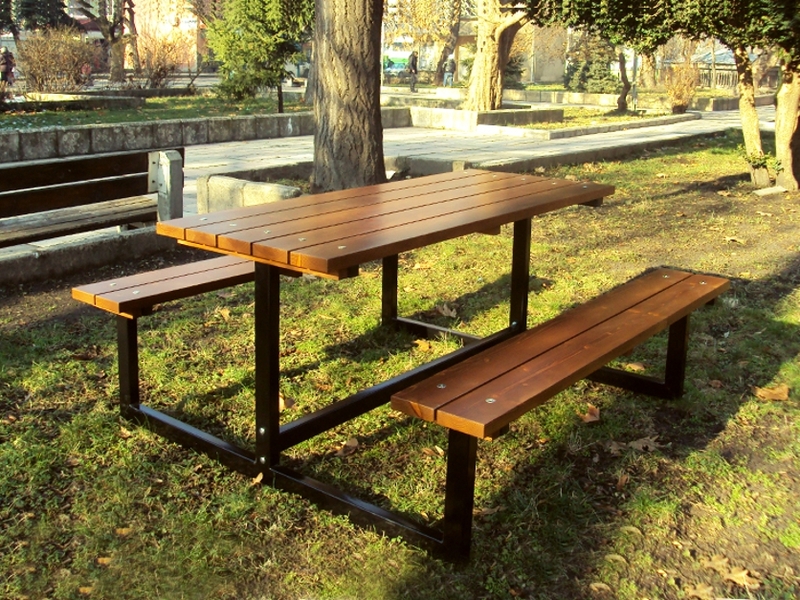 Benches, pergolas, trash cans and other accessories for parks, squares and public places. Garden modules and structures with rich possibilities for combining different solutions for exterior design. 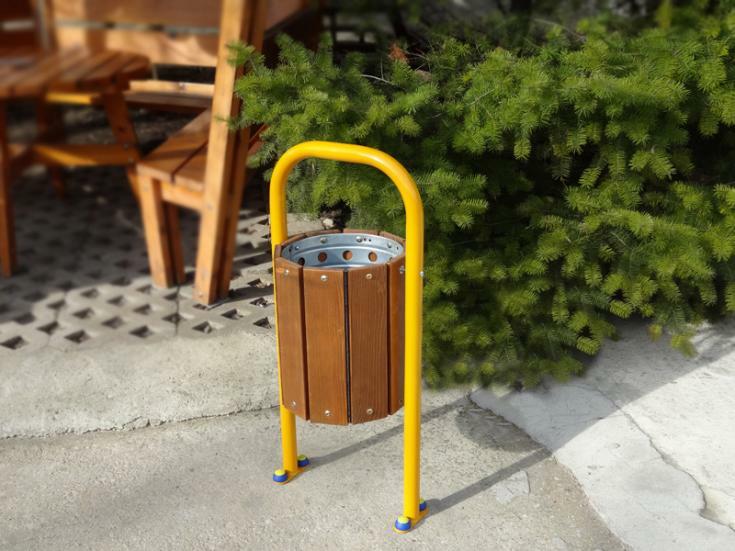 Various litter bins with a metal or wooden structure suitable for public use. Bins for separate waste collection. 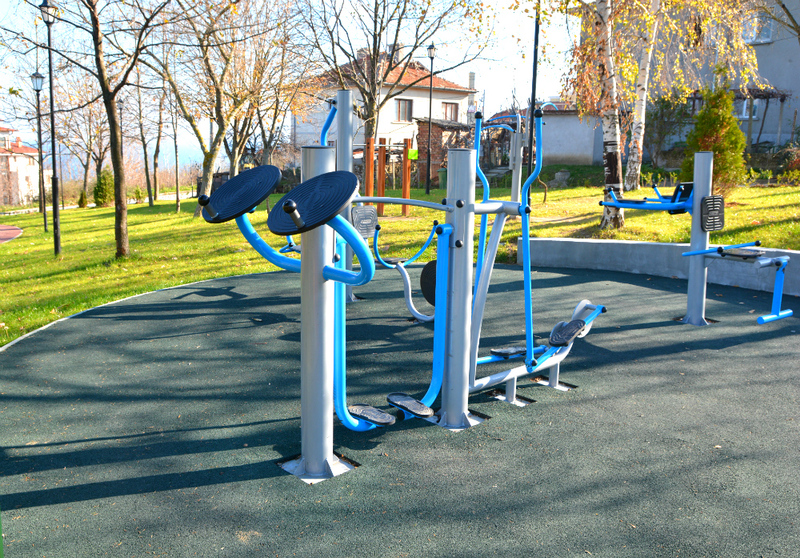 Street fitnees equipment - pullup bars, parallel bars, rings, combined facilities and other equipment for bodyweight resistance exercises. The main building material is impregnated and lacquered softwood. 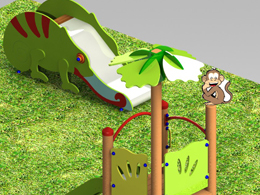 Combined children play facilities for children 3 - 12 years old that include combinations of different modules - slides, swings, tunnels, bridges. So we can be able to make atractive and diversified facilities for the children. The exotic worlds presented to children are invariably associated with animals, birds and plants from the jungle. 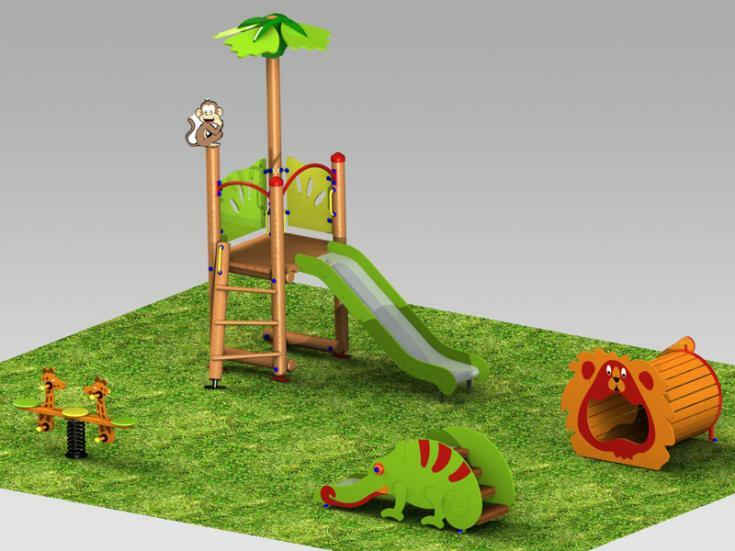 At playgrounds of this theme there are elephants, hippos, lions, giraffes, chameleons, parrots, monkeys, pandas, zebras, palm trees and much more. 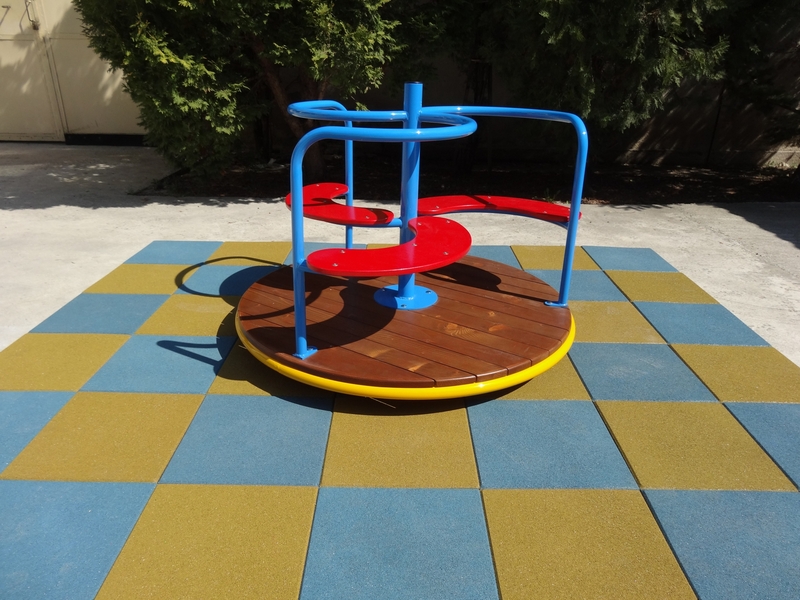 Their unusual for our latitudes shapes and colours defy the children’s imagination to new and exciting themed games. Екзотичните светове, с които децата се запознават от малки, са неизменно свързани с животни, птици и растения от джунглата. В площадките за игра на тази тема са застъпени хипопотам, лъв, жираф, хамелеон, папагал, маймуна, панда, зебра, банани, костенурки и др. Техните необичайни за нашите ширини форми и цветове разпалват въображението на децата за нови и интересни тематични игри. 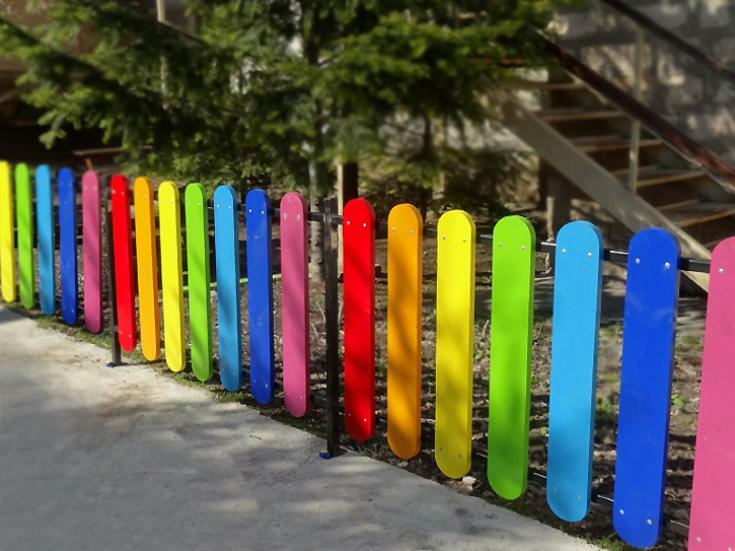 Bicycle racks with a metal frame designed for stationary placement in public places. 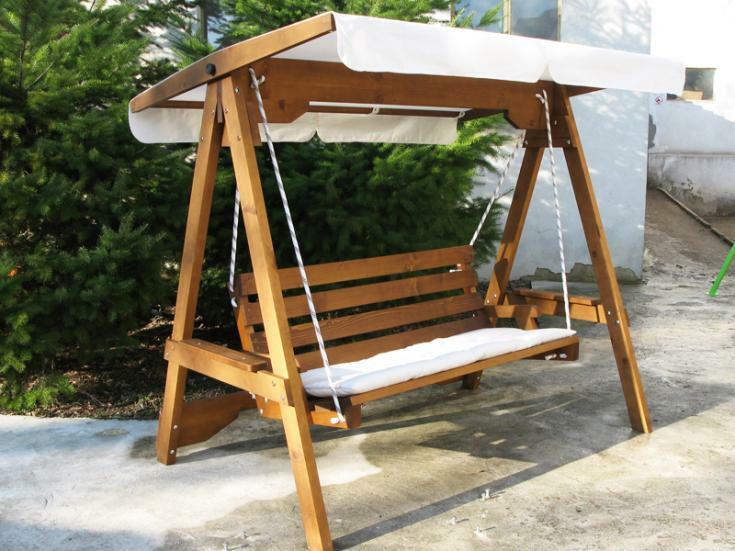 Swing and hammocks made of softwood. The wood processing is a three-layer one - impregnant, primer and paint finish suitable for outdoor conditions. 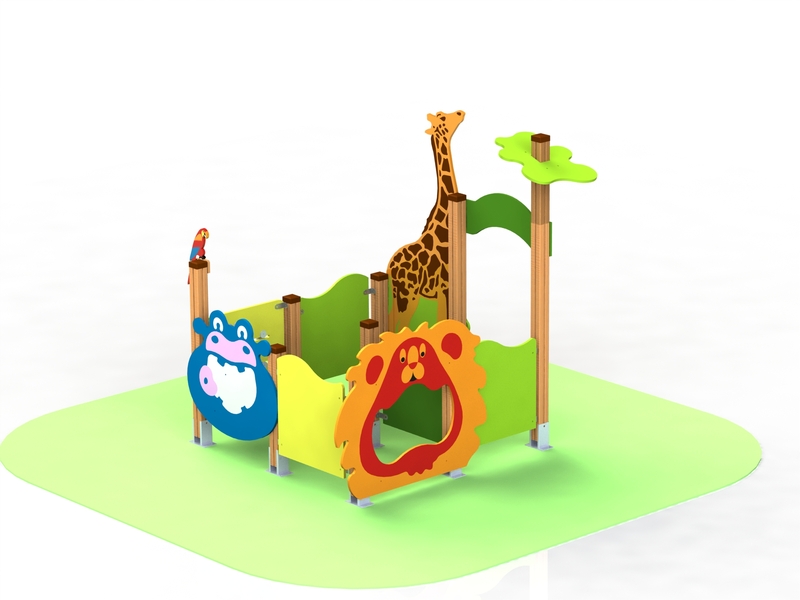 Combined children play facilities for the youngest children that include combinations of different modules - slides, swings, tunnels, bridges. So we can be able to make atractive and diversified facilities for the children. 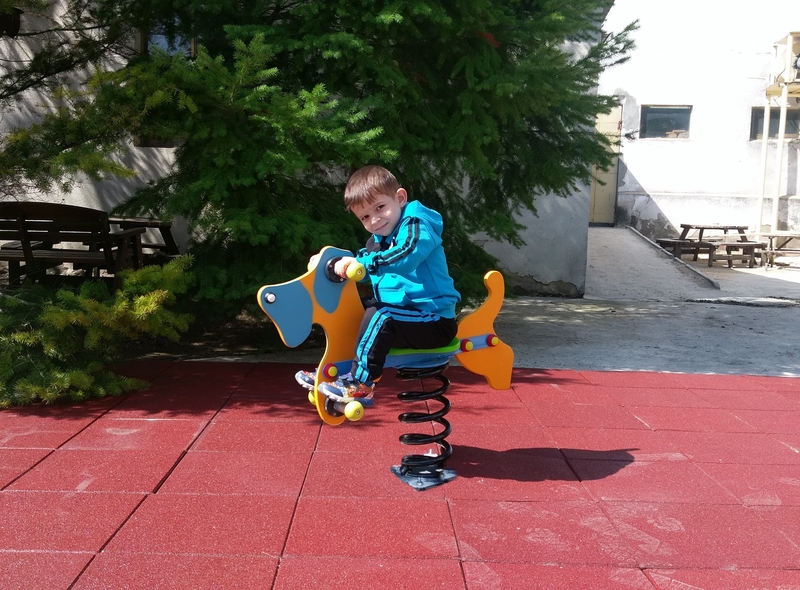 Various means of transport: trains, planes, cars, bikes, helicopters, rockets, etc., have always been interesting for children and are suitable theme developing the children's imagination. В Различните транспортни средства: влакчета, самолети, коли, вертолети, ракети и др., винаги са били интересни за децата и са подходяща тема, развиваща детското въображение. 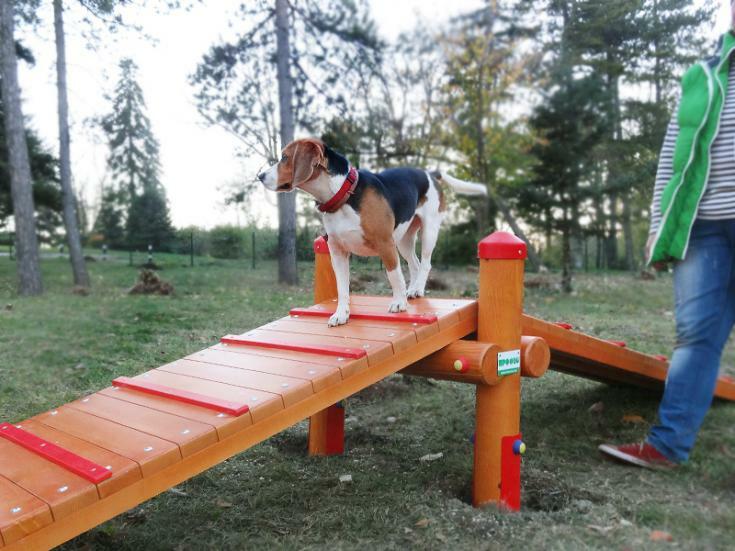 Dog jumps, hills, tunnels, ramps, poles and other obstacles for small and big breeds. 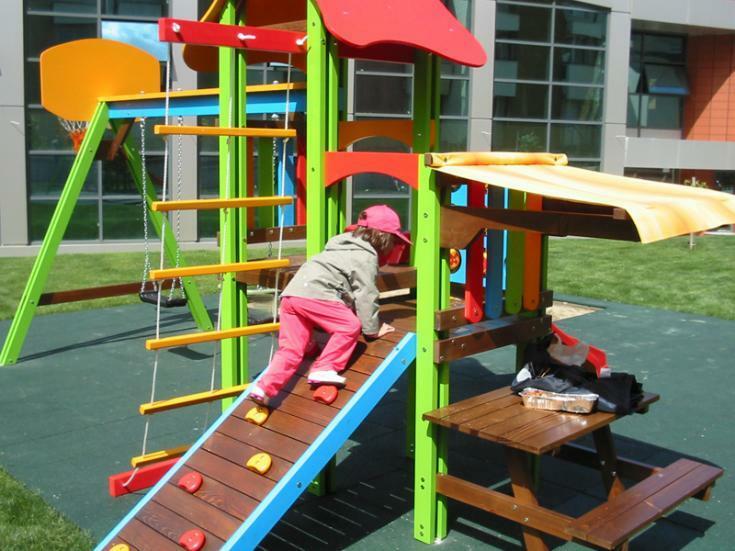 Combined children play facilities for children 3 - 12 years old, with metal construction and atractive, irregular design. 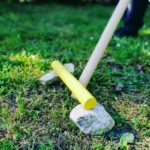 The theme of the ancient heroes wrapped in the mystery of their strongholds with battlements, flags, thrones and inaccessible entrances creates a setting for timeless children's imaginary games: fight with swords, archery, climbing and overcoming obstacles and others. 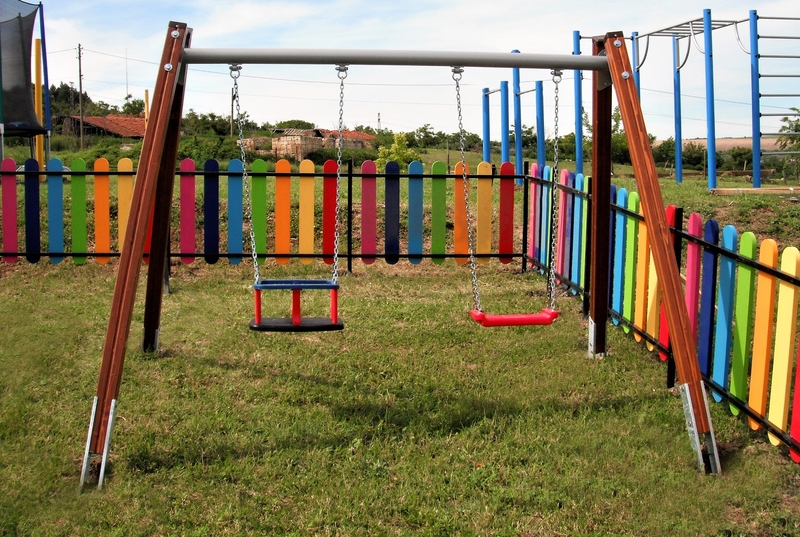 The playgrounds of this theme are appropriate for sites with less attractive character – adjacent to historic sites or places where there is a desire to feel the spirit of old times. Площадките от тази тема са проектирани предимно с детски съоръжения за игра с класически форми, модули и елементи. По този начин те са по-малко ангажирани с една или друга тематична ниша и са подходящи за различни обекти и екстериорни ситуации. 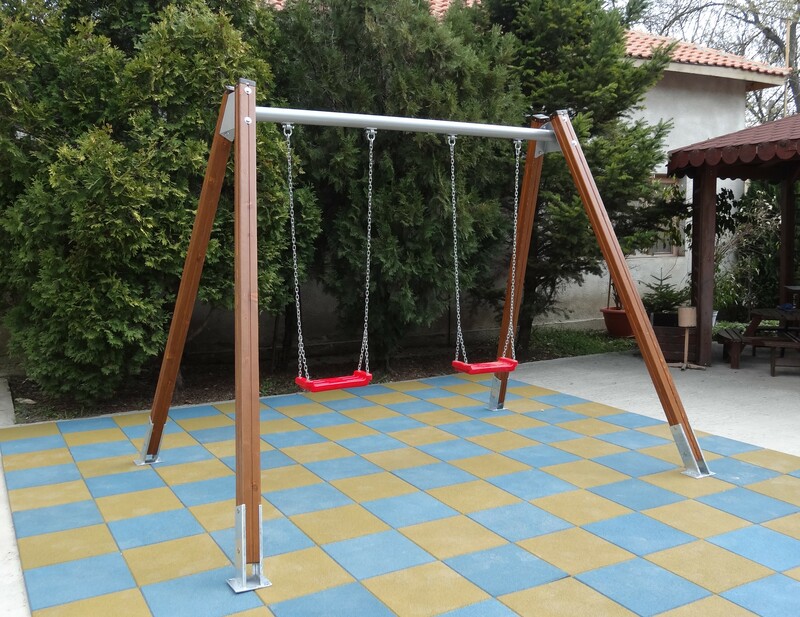 Combined children play facilities for children 3 - 12 years old, with metal construction. Every facility is a combination of different modules - slides, swings, tunnels, bridges. So we can be able to make atractive and diversified facilities for the children. 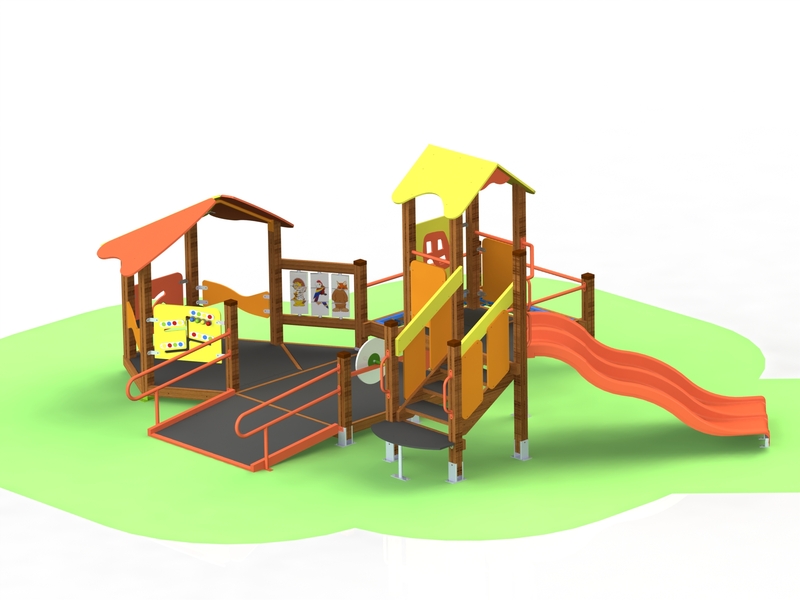 The playgrounds of this theme are mainly designed with children's play facilities with classical forms, modules and components. Thus, they are less committed to one or another thematic niche and are suitable for different objects and exterior situations. 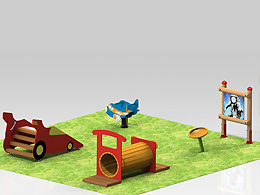 Standard ot thematic models slides, according to the different ages, surfaces and themes of the playgrounds. 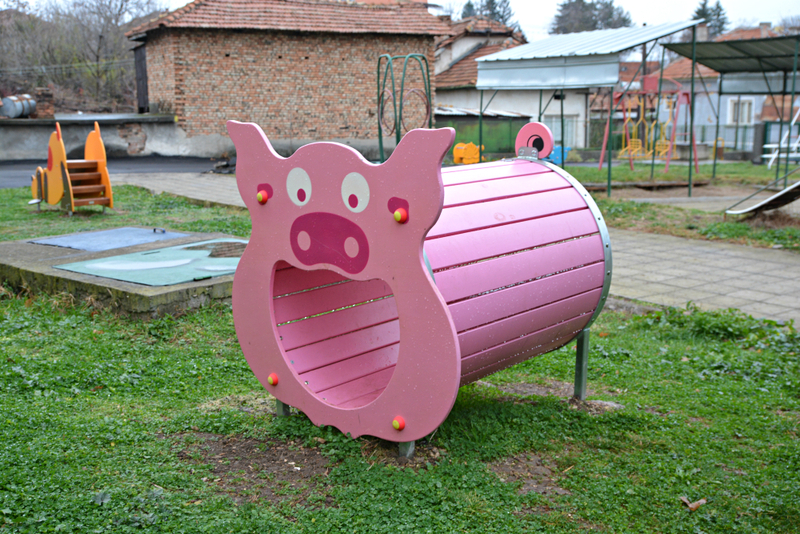 Themed facilities for children of all ages. 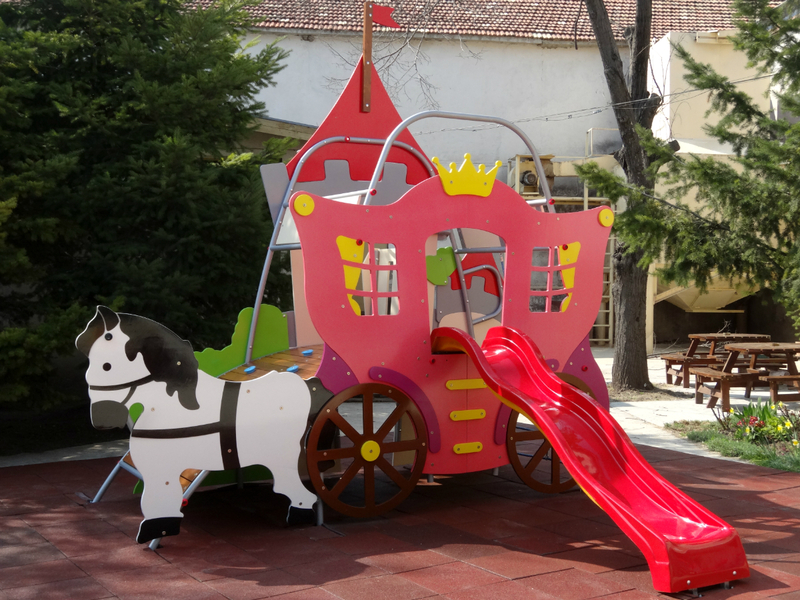 These series includes facilities like chips, boats, trains, helicopterс, fortresses, huge elefants and forest houses. These are standard combined facilities accessible to children in wheelchairs through a platform. The aim is that these children integrate themselves at playgrounds and participate in games with other children. Swings, teeter-totters and spring riders. 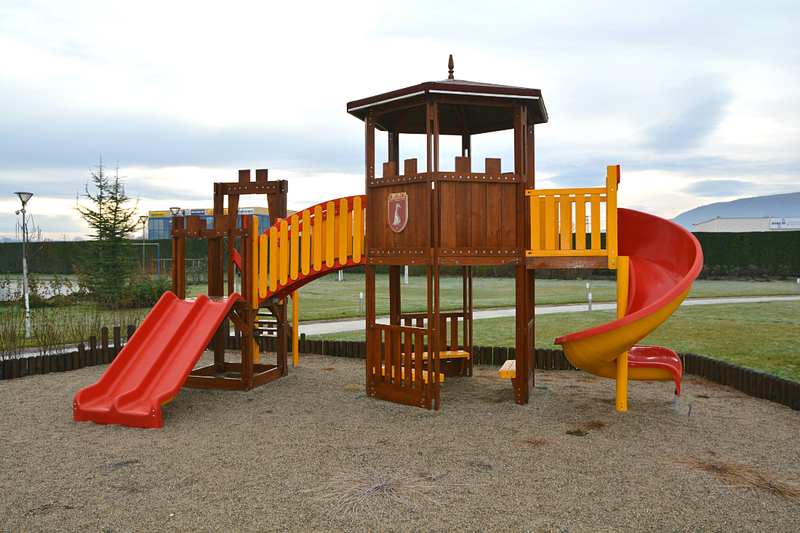 We offer different models according to the age of the children and to the surfaces of the playgrounds. 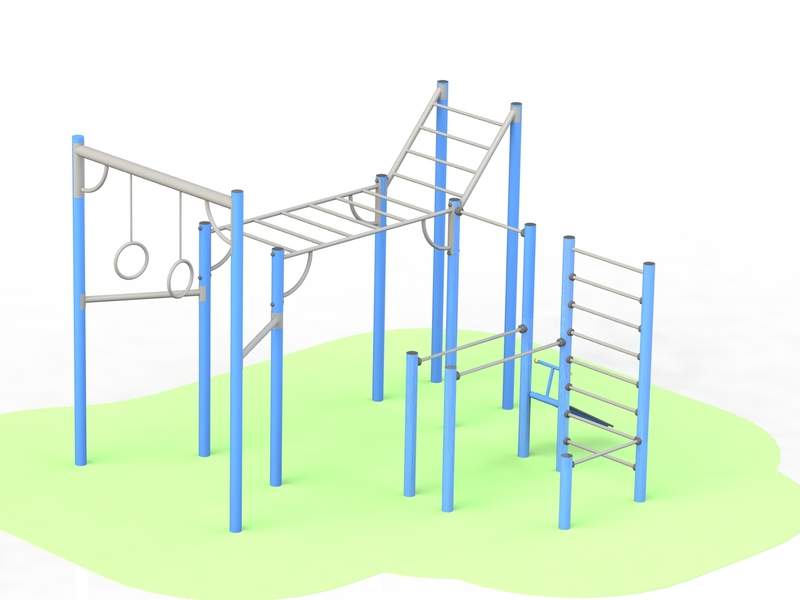 Children's climbing frames and facilities for balance with different height and complexity to overcome according to age and physical skills of children. 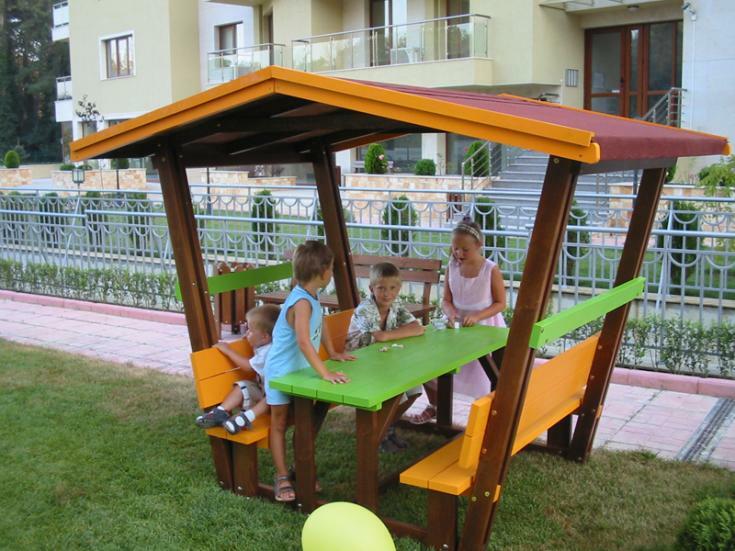 Children play houses, thematic houses, teen gazebos and gazebos for the adults on the playground. Rides are suitable for children at various ages. Young children rotate at a slower speed accompanied by an adult by gradually gaining confidence and developing their sense of balance. 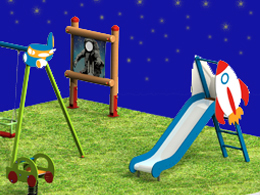 Playground tunnels with different themed decorations. Most of the models are available for disabled children. Different models sandpits and facilities for playing with sand. 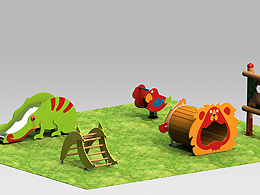 Entertaining panels and games for educational and entertainment purposes that are an attractive addition to the playgrounds and increase their gaming value. All entertaining panels are available for children with limited motor functions. 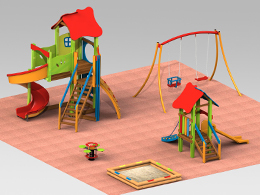 Combined children play facilities for usage in private homes and complexes. We combined different moduls and so be able to offer facilities with more аctivities at the lower price. 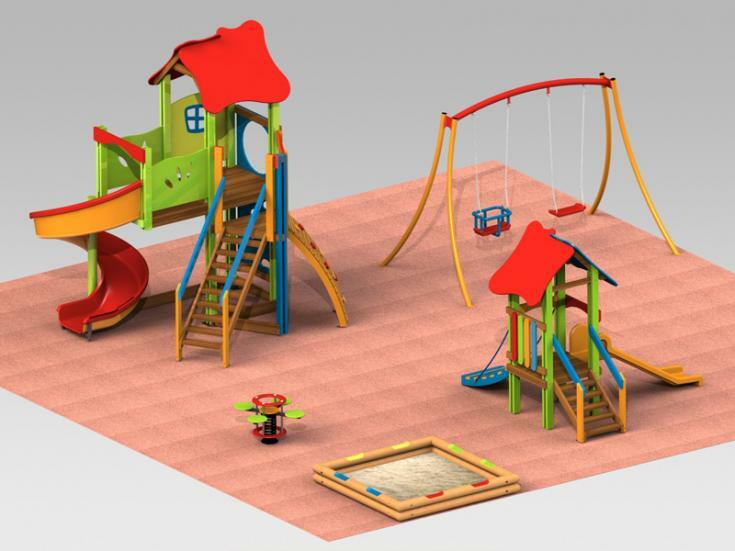 The proposed conceptual designs for playgrounds have been developed with the idea to facilitate the choice of investors and designers. Within the different price levels we have reached the maximum variety of game functions and activities. 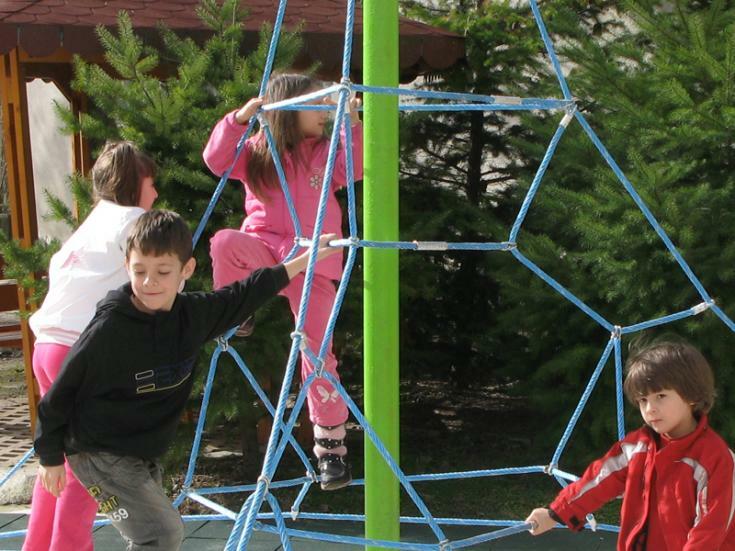 The thematic focus of the playgrounds enriches both the possibility of more interesting and entertaining themes in the play of children, and the successful adaptation of the site to the surrounding exterior. 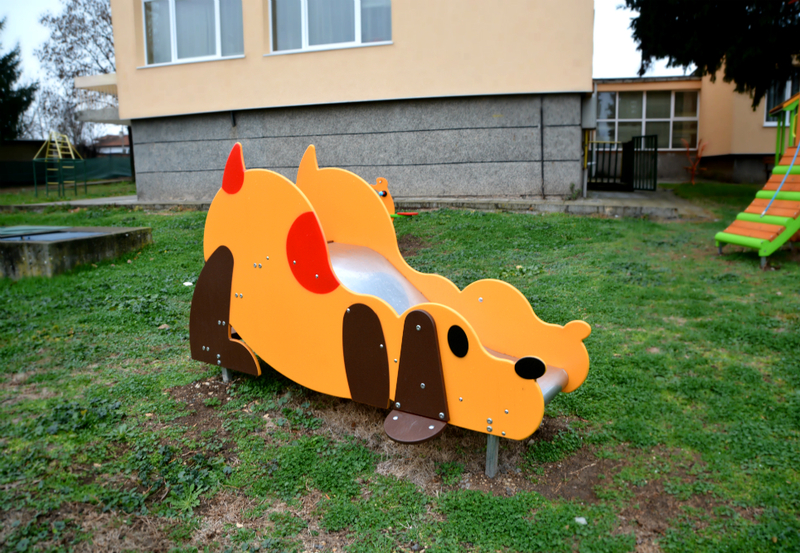 No less than half of the facilities of each playground are designed for children with limited motor functions or other problems and allow their inclusion in the course of games and activities. 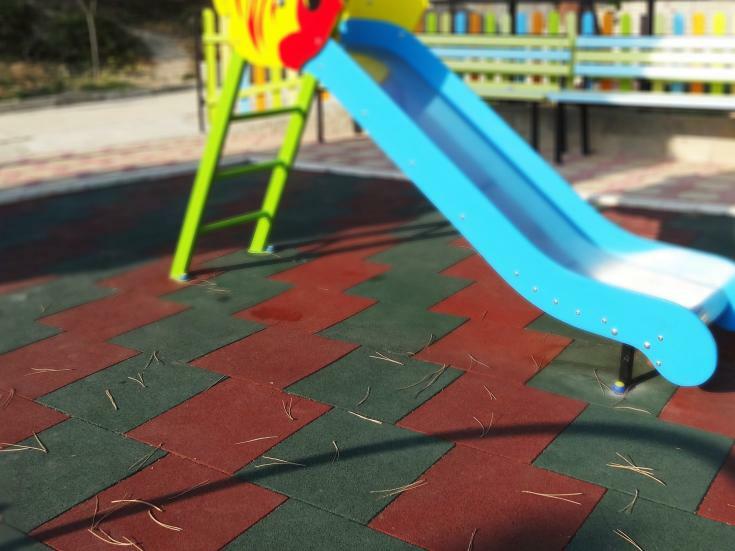 Depending on the drop height, the designed playgrounds have various terrains and shock-absorbing floor mats, so that investors have a greater opportunity to choose from, according to what kind of terrain they have. 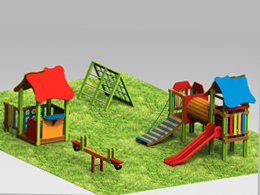 We can provide you with necessary certificates and technical documentation for each playground.